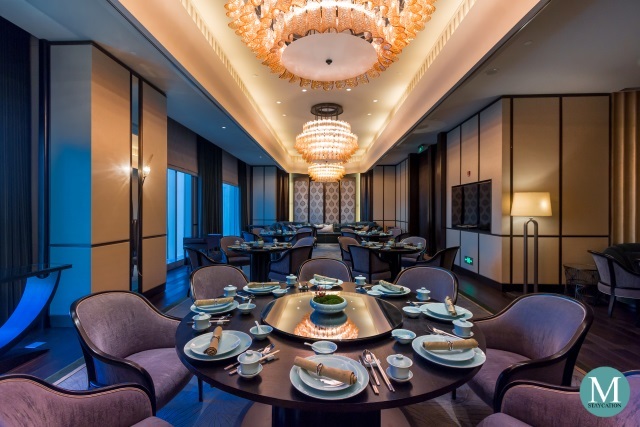 Conrad Guangzhou (广州康莱德酒店) is a luxury hotel located in Zhujiang New Town, the new Central Business District of Guangzhou, China. 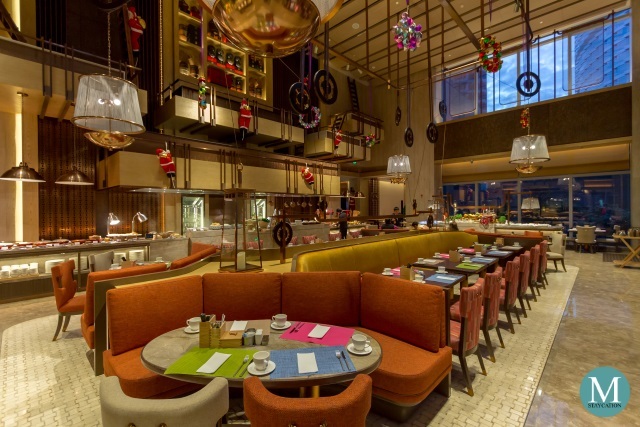 The property opened in May 2017, making it one of the newest hotels in the city. The hotel is located right next to the igc Shopping Mall, one of the high-end malls in Guangzhou City. 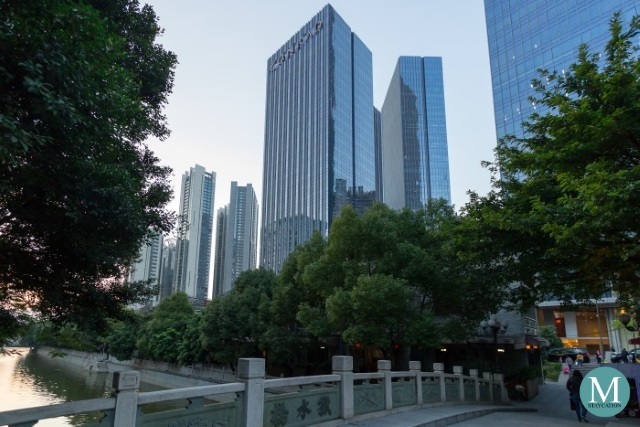 The Zhujiang New Town is home to offices of several multinational companies as well as some of the most iconic landmarks of Guangzhou, including the Guangzhou Opera House, the Guangzhou Library, and the Guangdong Museum. Across the Canton River stands the Canton Tower. 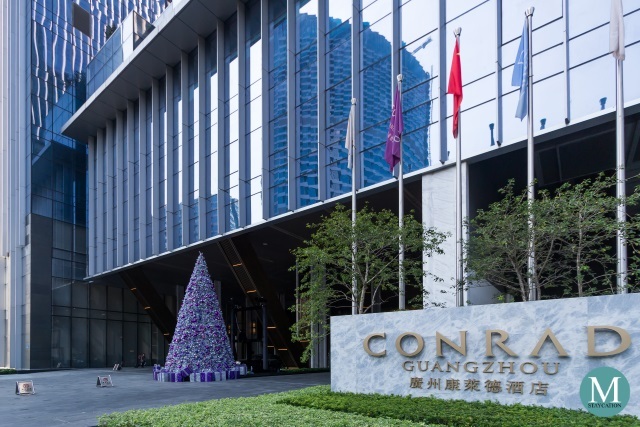 This strategic location makes Conrad Guangzhou the ideal accommodation of choice by both leisure and business travelers. 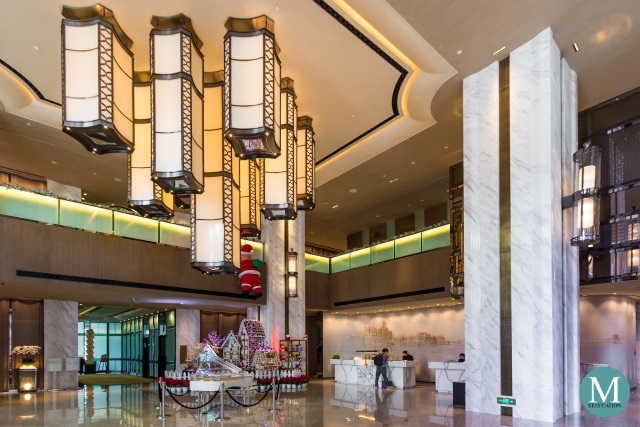 Conrad Guangzhou features a spacious lobby filled will elements of Lingnan design seen in many traditional houses in Southern China. 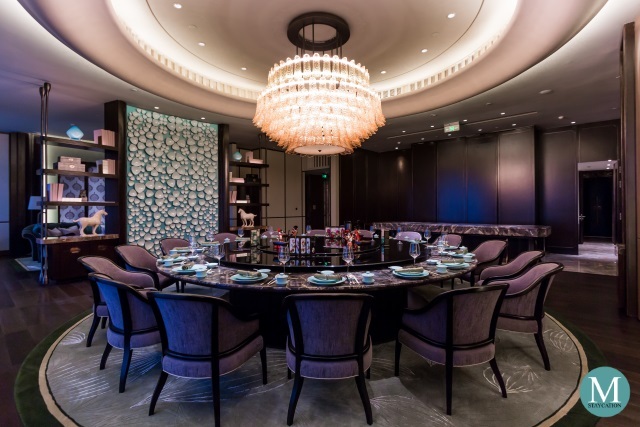 The most imposing feature is the chandelier inspired by traditional palace lanterns. 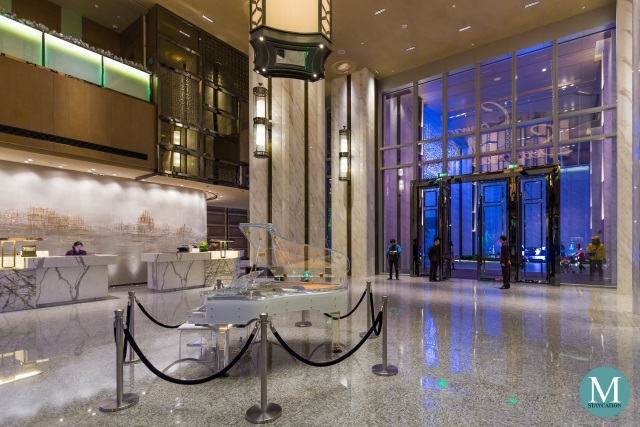 The white marbles generously used in the interior of the lobby, and in addition to the bronze and silver fixtures, give the space an elegant ambiance. Also noticeable are the green glass panels which replicates the green bricks used in many traditional Cantonese houses. The grand staircase is another highlight of the lobby. 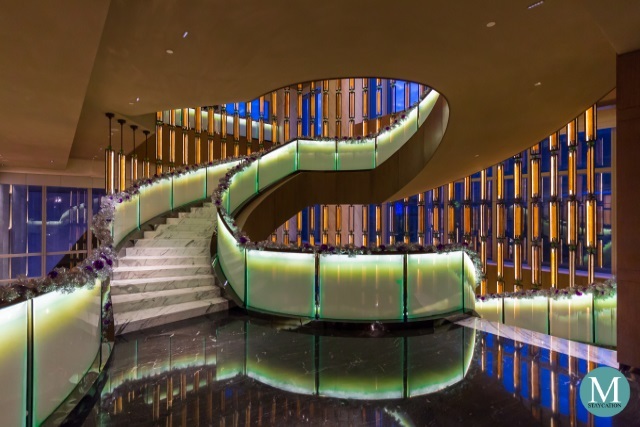 It spirals from the lobby and up to the restaurants, meeting rooms and function rooms of the hotel. 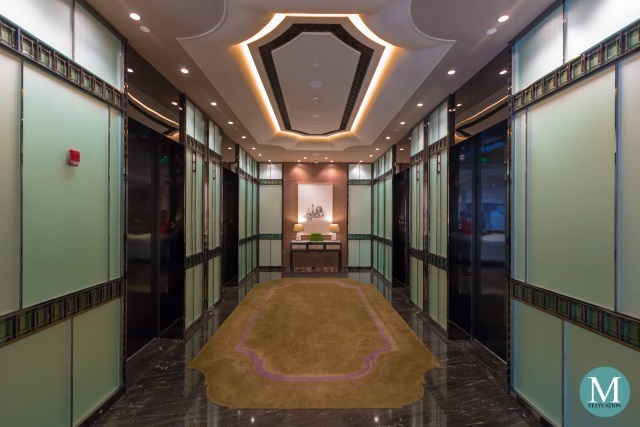 The same green glass panels are used to line the staircase as well as the elevator lobbies. 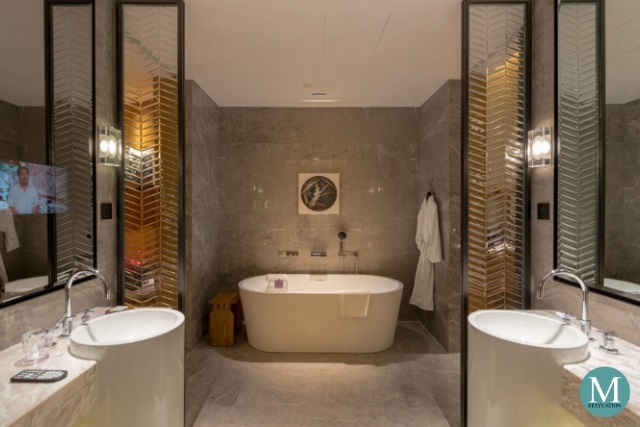 Conrad Guangzhou features 309 spacious and luxuriously designed guest rooms and suites, with unobstructed views of the city and of the Pearl River. All guestrooms and suites are equipped with a Nespresso coffee machine while all bathrooms are fitted with a bathtub. The Deluxe Room River View is one of the two lead-in room categories of Conrad Guangzhou. 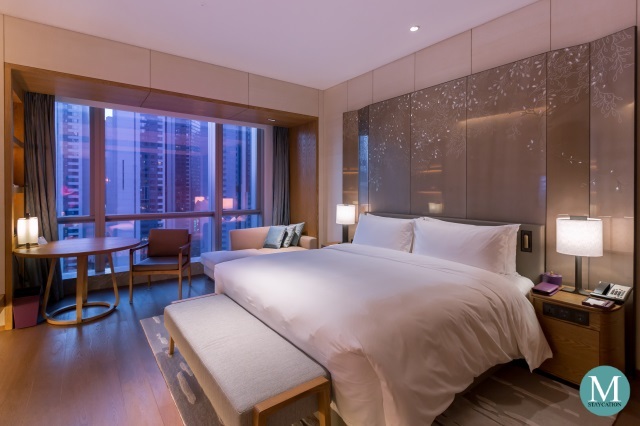 It is one of the most spacious guestrooms in the same category in Guangzhou, offering 49 square meters of luxury. 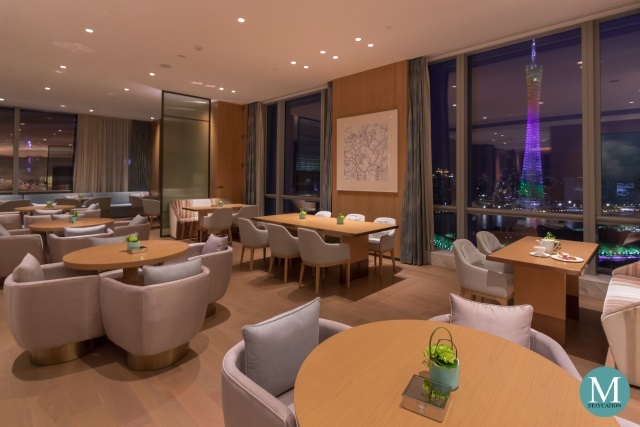 The room faces the Pearl River, affording guest with a spectacular view of the iconic Canton Tower. 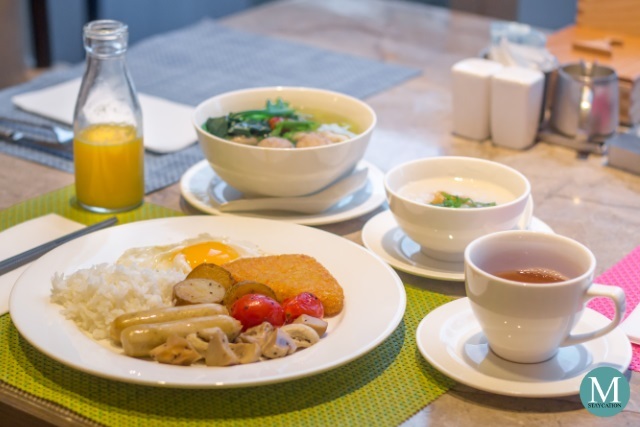 Business and leisure travelers staying at the Conrad Guangzhou also enjoys complimentary access and use of the hotel's fitness and wellness facilities. 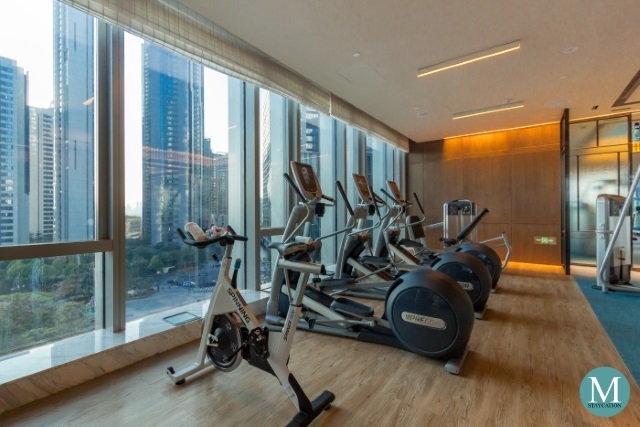 The Fitness Center features state-of-the-art Precor cardio machines as well as a panoramic view of the Pearl River that will ensure to motivate a successful workout. The Fitness Center also has an indoor swimming pool and an outdoor Jacuzzi. The in-house spa offers Thai, Chinese and other Asian massages and body treatments. 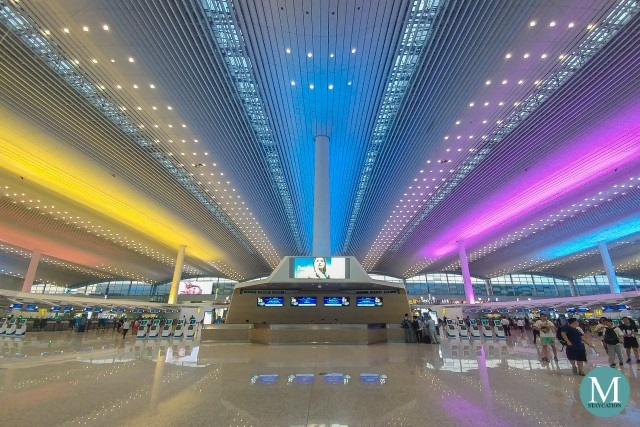 International Flights - Guangzhou Baiyun International Airport is the main international gateway of Guangzhou City. There are international direct flights to Guangzhou from North America, Australia, Europe, Middle East and Asia-Pacific. From the ASEAN region, there are daily flights arriving in Guangzhou from the Philippines, Singapore, Malaysia, Indonesia and Thailand. China Railway High-Speed (CRH) - a popular alternative to taking a domestic flight is taking the high-speed train. There are several trips connecting Guangzhou to major cities in China via the Guangzhou South Railway Station. Travelers from Hong Kong can travel to Guangzhou via Shenzhen while travelers from Macau can reach Guangzhou via Zuhai. 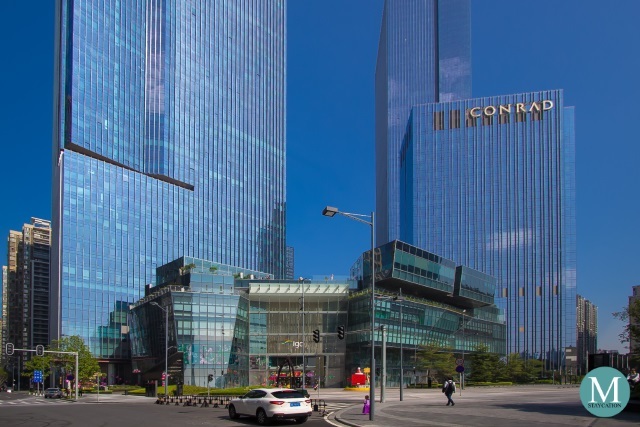 Airport Transfer - The easiest and most convenient way to reach Conrad Guangzhou from Guangzhou Baiyun International Airport is by taking a taxi right at the arrival area of the airport. Estimated taxi fare is CNY150.00 (~USD25.00). 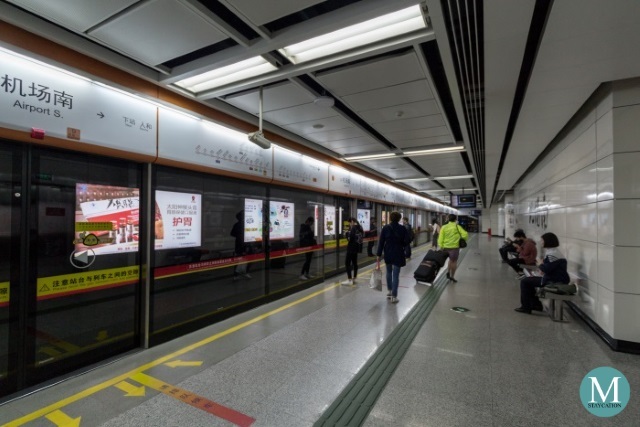 Alternatively, travelers can take the Guangzhou Metro from the Airport North Station or Airport South Station to Liede Station, with in-between line transfers at West Tiu Road Station and Zhujiang New Town Station. Travel time is around 50 minutes and fare is CNY8.00 (~USD1.30). The hotel is just a 5-minutes walk away from the Liede Station via the underground tunnel connected to igc Shopping Mall. There is an exit at the mall leading to Conrad Guangzhou, just look for the signages for direction. Train Station Transfer - Guests arriving by high-speed train at the Guangzhou South Railway Station can also take the taxi going to Conrad Guangzhou. Estimated taxi fare is CNY85.00 (~USD15.00). 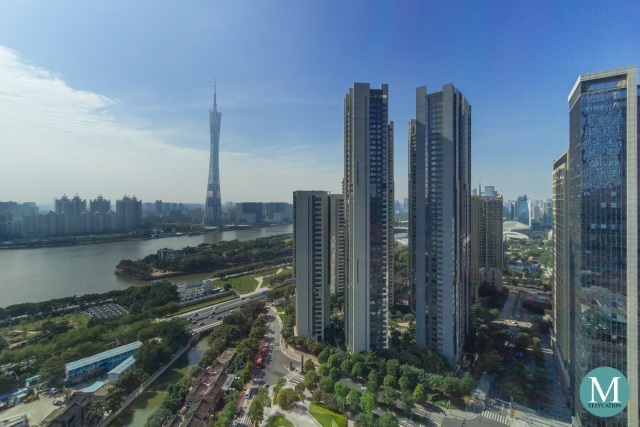 Alternatively, guests can take the Guangzhou Metro from the South Railway Station to Liede Station, with in-between line transfer at the Guangzhou Railway Station. Travel time is about 50 minutes and fare is CNY6.00 (~USD1.00). 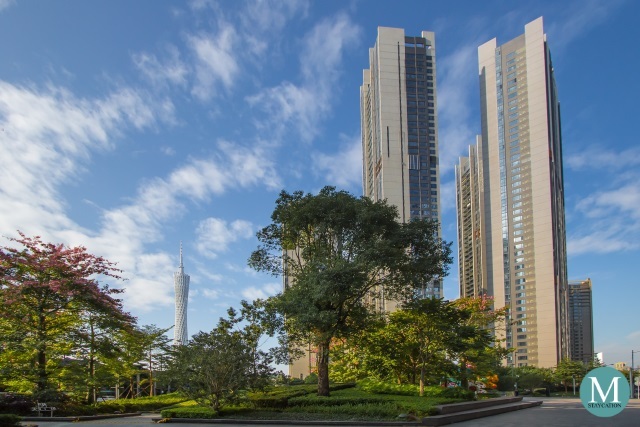 From Liede Station, it will only take a 5-minute walk to reach Conrad Guangzhou. Getting Around - The most convenient way to get around is by getting a taxi. The hotel concierge can help you get one from the hotel lobby. Just tell the concierge where you wish to go so they can instruct the driver accurately. For longer distances, you can also use the Guangzhou Metro. The nearest station from the hotel is Liede Station. It can be accessed via the tunnel connected to the basement of igc Shopping Mall. There is an access door at the hotel leading to the mall. If you have mobile data plan during your visit to China, you can also try using the Didi ride-hailing application. Grab and Uber are currently not available in China. NOTE: When taking a taxi back to the hotel, make sure you show the driver the name and address of the hotel in Chinese. You can ask for Chinese language business card of the hotel at the concierge.